We use Brightpearl inventory management software for our e-commerce business. Here’s another post from the Brightpearl Automation series, where we share our experience of business process automation with Corezoid cloud OS. Novaposhta is the leader in express delivery in Ukraine. Most e-commerce businesses here are using their services. They also have a documented API, which is open to all customers after registration. We use it to track sent package states and switch sales order statuses accordingly. Novaposhta’s API also allows registering packages before sending them to get a tracking reference and make sure order recipient data is correct. We’ll focus on that a bit later. When a sales order is shipped, we want to notify our customer about this event and start following package states until it is received. We used to send text notifications via native Clickatell integration and then manually check parcel state at our primary carrier Nova Poshta website. Naturally, our managers were doing parcel state check on rare occasions. Therefore, we were not able to identify orders that needed special attention soon enough. The thing is, cash-on-delivery orders are most frequent here in Ukraine because of an immature credit card payments market. So we have to track which order hasn’t been received yet and remind a customer to do it. changes order status to ‘Delivered’ when the customer has received the package or to ‘Completed’ if the order has already been completely paid. It took hours to check manually package state at our carrier website for each order before the automation. Now we don’t have to worry about it. Is there anyone using the boxora app? We’ve stumbled upon a potentially dangerous bug, and that seems to be unsolved. Our client’s Shopify store connects to Brightpearl ERP with it’s internal app. It syncs inventory and Shopify orders and can download products created in Shopify. Occasionally, orders aren’t downloaded to Brightpearl. This situation is very rare but quite annoying. Unfortunately, BP doesn’t have built-in notifications for this case. So we’ve created it. 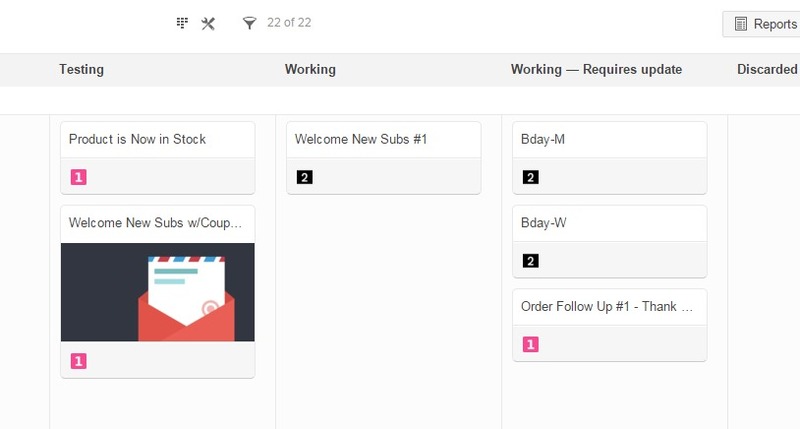 Use case: we want to connect MailChimp to Corezoid in order to build automations based on a new subscriber event. For example, send them welcome email series or sync them with another database. Problem: MailChimp sends webhooks not in JSON format that is supported by Corezoid. Solution: use Zapier which is already connected to Mailchimp to send JSON webhooks to Corezoid. We use Brightpearl inventory management software in our ecommerce business. Here’s another post from my Brightpearl Automation series. Ecommerce stores normally send various sms notifications to their customers. These include: ‘your order has been shipped’, ‘we couldn’t reach you by phone, please call back’, ‘your payment has been received successfully’ etc. This is a good way to communicate crucial information to your customers, especially if they don’t rely so much on email, as does our typical customer here in Ukraine. I’ve been using Brightpearl ERP since the mid-2014 at my online store Alisa.ua. It’s a great SAAS ERP for e-commerce that literally changed everything about how we do things and significantly improved our processes. However, there’re still a lot of stuff in Brightpearl we’d like to improve or completely automate. 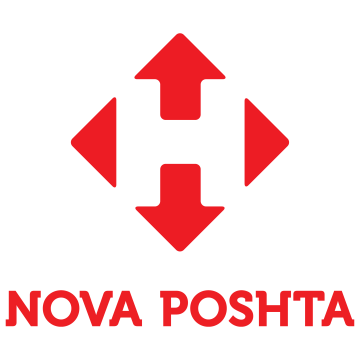 For example, we wanted to integrate it with our local package carrier Nova Poshta. Also, we had a depressing experience with BP’s native sms gateway Clickatell. BP team have told me that they don’t have plans to add other gateways. So I started looking for solutions… And I found one. New order check and customer notification for a Shopify store; Including copying order notes from Shopify cart, which aren’t being transferred to BP since some time ago. Created basic Brightpearl and Novaposhta carrier integration. Product List + Inventory summary + Price list export to a CSV file for our 40k+ SKU product database. Custom automatic product download from Shopify. Custom order packing and shipping interface with barcode scanner support. Real-time shipping date calculation for our Shopify store (based on warehouse availability). Inventory sync patch for warehouses that don’t have BP’s native product allocation enabled (long story which deserves a post of its own). Order due date check. Notify our staff if an order in progress doesn’t have a due date. Order status update as a text message to a customer. Conditions based automatic order status change. ‘Waiting for a customer’ → ‘Call the customer’. Automatic client notification if the order is waiting for payment more than two business days. Created other various order status based automations. BTW, we choose Unisender as a text message service, but you quickly can connect Twilio to Brightpearl. We now offer Brightpearl automation services for ecommerce business owners. If you’re interested in one of the patches I described here or some custom development, please drop me a line at stas@99rabbits.com. You’ll be amazed how these automation flows can streamline your operations and how cost-effective they are. Do you know your email confirmation rate? If you are serious about your email marketing, you probably should check it. How many subscribers are you losing due to boring typical ESP double opt-in confirmation? With a bit of tweaking, your confirmation rate can be improved. Below are a few good email sign-up confirmation page examples and I’ve stumbled upon lately. I turned them into 7 actionable easy to implement pieces. Thinking about opening your own online store? Just googled for ‘Shopify reviews?’ Or Bigcommerce pros and cons? Or maybe WooCommerce is a platform you favor? Choices are plenty. And this may overwhelm. In this post, I’ll tell you why you should stop comparing and freaking start selling now! But first a short story in which I tell how I made all the wrong choices that nearly ruined my business. I’ve been managing my business for 7 years now. All these years I didn’t realize that I was working inside my business not working on my business. I was self-employed. Why? Because of a constant flow of requests from my team. I couldn’t do anything without being interrupted. I was dealing with routine tasks and almost completely ignored important stuff. Moreover, I grew so attached to my business that I couldn’t even imagine myself doing something else. I still have to conquer this feeling inside. I love Trello’s visual presentation of items on boards. Kanban style. I gives me almost tactile sensation. Brilliant! But I also love Podio’s ability to adjust item’s structure to it’s contents. I’d call it poetry if I were more romantic. So I try to combine them. Podio kanban view (as I prefer to call cards layout) is quite limited comparing to Trello, but it can be a little bit facelifted.